Pitch like a Big Time Movie Producer/Director! A great guest post by Andrew Keogh. See more about Andrew’s company Aristo.ie here. A High Concept Pitch to a movie mogul (If such a person still exists?) is where you are given one sentence to pitch your idea. What you are hoping to do is connect your idea to a previously successful movie. I was recently reminded of this expression when listening to a radio interview with Nick Park – Director, Writer, Animator, best known as the creator of Wallace and Gromit and Shaun the Sheep and winner of four Oscars. 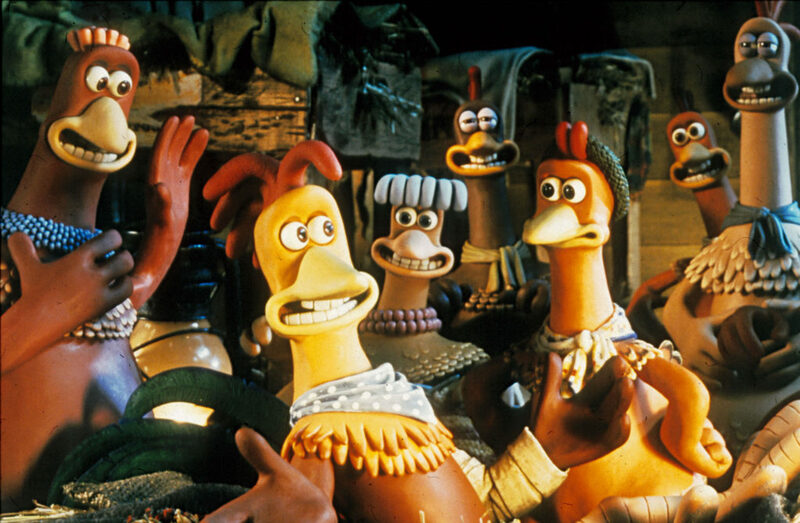 He was the one who successfully delivered the High Concept Pitch CHICKEN RUN – It’s “The Great Escape” with Chickens! to Stephen Spielberg and the DreamWorks team. I am not saying that they gave him money and support as a result of the sentence “Chicken Run – it’s “The Great Escape” with Chickens”. However, he did get their attention and interest, and was given permission to continue the conversation and elaborate on his idea for the movie. Nick then went on to explain how the different characters in “The Great Escape”, e.g. British, American and German soldiers, would be replicated by chickens in his movie ‘Chicken Run’ (Mel Gibson voicing the role of Steve McQueen in the original film). Using a previously successful film as a reference for his movie is recognized as the way of getting an idea across with the minimum of explanation. The challenge for all presenters, and in particular those pitching to win sales or investment, is for the audience to understand very quickly how you can solve a problem or provide an opportunity for them. Presenters need to get attention immediately (20 seconds), and this is why I advise my clients to start with a Headline or Visual that switches the audience away from whatever they were thinking about and start paying attention to them. Tuesday 10 April 2018 – 9:30 am to 12 noon – NCI, Mayor Square, IFSC, Dublin 1.
not when you are tired and sitting in front of a screen. Start thinking creatively, find inspiration and be open to change; it’s all around you! To do this you need to get out into the world and find yourself spaces where you can be creative. I use Libraries, Art Galleries, StartHubs, secluded corners in old pubs, sitting in the car beside the sea, walking in the hills. All of the above should be done with a pencil and notebook to hand, ensuring you capture your inspirational ideas.